Indianapolis has a big turnover problem. Each year some 400 teachers in Indianapolis Public Schools – around 20 percent – either switch schools or quit. Elsie Owolo is with a group called TeachPlus. She says keeping teachers around is a complicated issue, but housing often plays a key role. And in the heart of Indianapolis, it’s a problem. “So in order for them to be able to afford something our teachers have expressed that they’ve number one had to stay with parents, had to stay with roommates, or you know the ultimate result is living out in the suburbs and having a longer commute,” Owolo says. And that can lead to turnover. But there’s an effort in Indianapolis to change that: a first-of-its-kind housing project in the city aims to bring together teachers and a community making a comeback. John Franklin Hay is the executive director for a group called Near East Area Renewal, or NEAR. 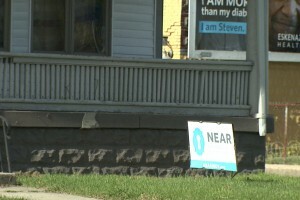 It’s responsible for the construction and renovation of 100 homes in the St. Clair Place Neighborhood. And he’s working on another, unique project. “We are now working on developing what we’re calling the teachers village, and the teachers village is a cluster of 21 homes within a two block area,” Hay says. On the corner of 10th and North Rural Street, a trio of boarded up houses sit as cars drive past. Soon, it will be unrecognizable – this is where they broke ground for the city’s first Teachers’ Village last fall. “What we really want to do is to invite and encourage IPS and urban charter school teachers to consider living here and becoming rooted here and becoming a community leader here,” Hay says. The idea is pretty straightforward. 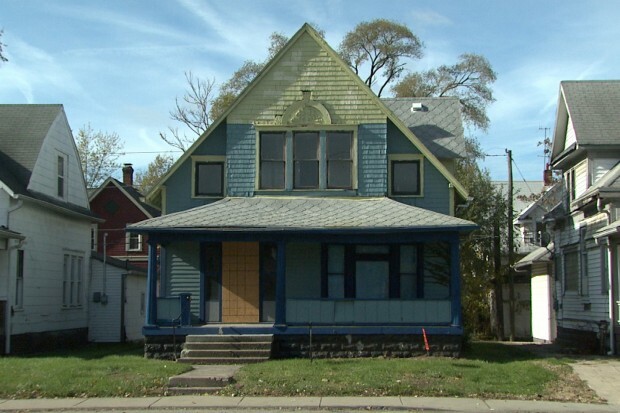 NEAR builds and renovates about two dozen homes. They’ll be offered at a subsidized price to those who meet income requirements, but the project is targeted to teachers. Part of the program is that buyers agree to stay for at least five years. Some of the homes will be major renovations. But others will be completely new builds. And housing isn’t the only priority for the project. Plans for the teachers’ village include a street makeover. St. Clair Place has been making a comeback after years of decay, when NEAR started its work here, the neighborhood was almost half empty. Hay says the goal of this village is to do two things at once: bring life back into the area while helping city schools through affordable housing. Sabbath McKiernan-Allen teaches second grade at Thomas Gregg Elementary – just two blocks from the teachers village. Right now she lives outside of the community where she teaches. She’s interested in buying one of the teacher’s village homes, but is worried about bringing work home. Others question how safe the area really is – it has a reputation for high crime rates. But Hay says the residents he’s talked to in St. Clair Place, want change. The first set of homes in the village will be available this spring. And if enough of the education community buys in and teachers decide to stay, Hay says more villages like this one could spread to other parts of the city.